The Appalachian Tale – Page 5 – Memories, recipes, and Tales of an Appalachian Boy. It’s really warmed up the last few days around East Tennessee, where I live today. We went up to mom & dad’s this morning and found mom in the garage splitting kindling. When I refer to mom & dad in the present day, it’s really Mick’s parents. We asked her what in the world she was doing making more kindling. She said it was such a nice warm day, she thought she would get it done. She has a room in the garage that she spends time in with her cats, listens to a basketball game on the radio sometimes, and keeps a fire in the stove from October to March. In the house, they have central heat, but she builds a fire in the garage every day. Even when it snows, she will clear a path to the garage and build a fire so she can warm up from being out in the snow…. clearing that path. It makes her happy, so as long as she can do it, she will and we will look on in wonderment. The drive up was beautiful. The fields are all clear, but not yet turned over. It won’t be long before they are prepared for corn, tomatoes, soybeans, and maybe some tobacco. I saw bundles of tomato stakes at one farm as we drove by. Some of the fields are beginning to green up. You can see forever to the ridges in the distance. Daffodils are popping up in the front yards of long ago abandoned shacks. I imagine some of these were once vibrant homes of sharecroppers. I wish I had gotten a picture of one we drove past. The roof was beginning to collapse, the porch steps almost gone, but in an almost perfect row were the daffodils standing tall and bright yellow. Hope rising, as decay reclaims timbers to the soil. Dad has already turned the garden once. He is waiting for another snow so it will add some nitrates to the soil. They were talking about getting some cabbage out soon. They do grow some of the most beautiful cabbage. Mom knows I like to make cole slaw, so they put out some just to give us. I always prefer to use fresh cabbage instead of pre-shredded and bagged. I think it makes all the difference in the world. 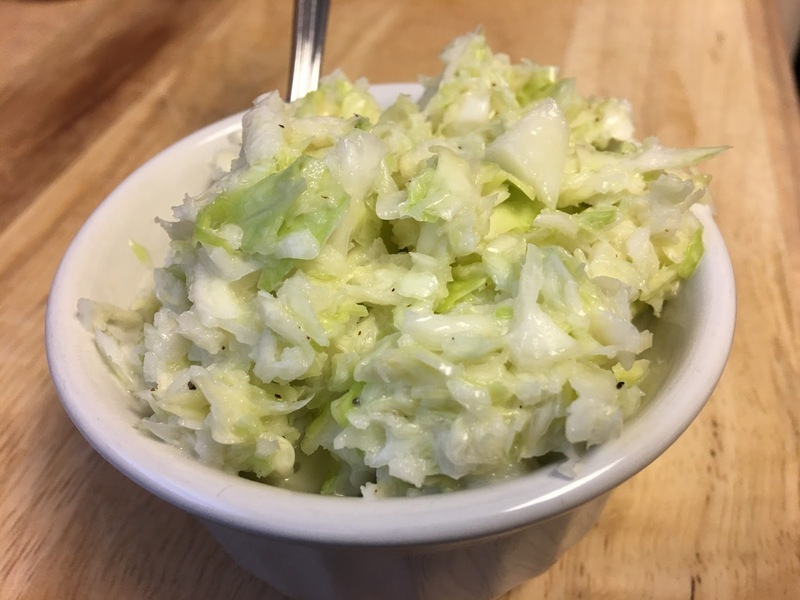 When you shred fresh cabbage, it releases much more flavor into the slaw. 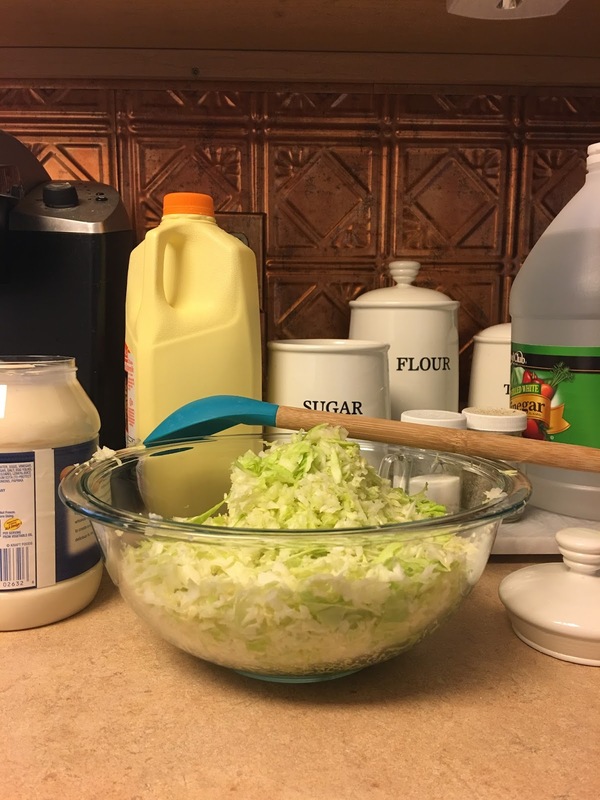 I shred the cabbage on what Mary called the ole knuckle buster, toss it into a large bowl and add the rest of the ingredients and mix well. I taste it after it is mixed and add whatever is needed for taste. Sometimes it’s a little more salt, sometimes more vinegar, and sometimes more sugar. 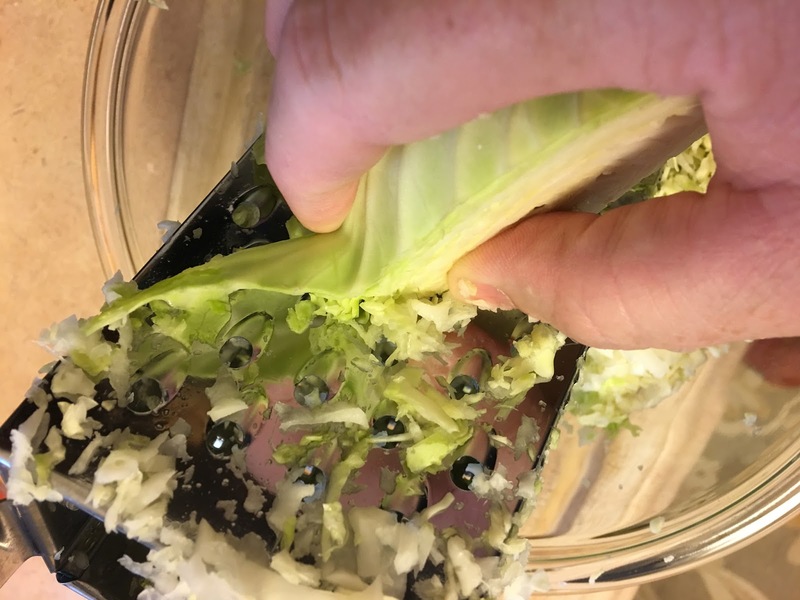 I like the blend of tangy and sweet, with that bite of fresh cabbage. Then I like to let it set for a couple of hours in the fridge. The ole knuckle buster, as Mary would call it. It’s quick and easy to use. 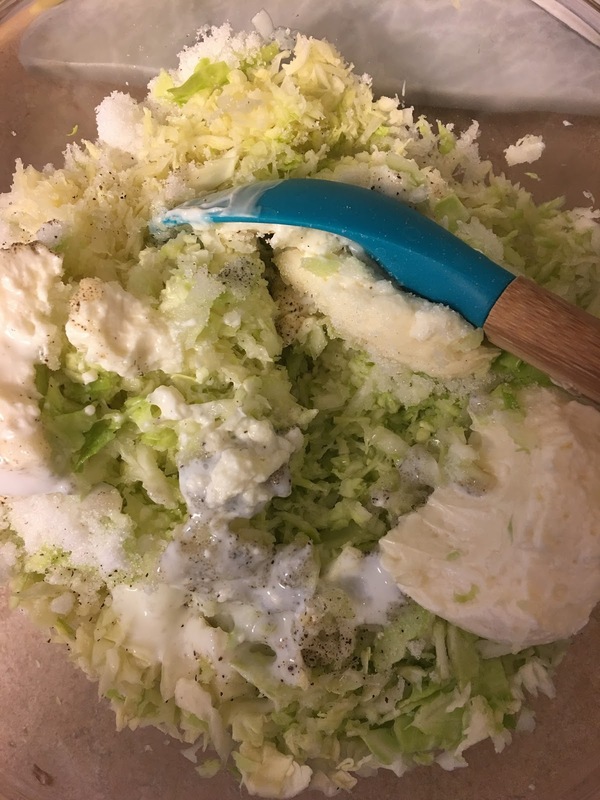 I prefer it over a food processor for shredding the cabbage. Mix well and adjust for taste. I know I said to let it sit for a couple of hours, but I always try just a little right after I make it. Mick won’t eat cole slaw. He can’t stand the smell of it, especially when I open the bowl and that first whiff of “freshness” hits you. He also won’t eat potato salad. That is another thing I specialize in, which Mary also taught me how to make. He will eat hard boiled eggs, but not egg salad, and he would die if he had to eat a deviled egg. But, I don’t mind that he turns his nose up to them. These are all favorites of mine and I am happy to have them all to myself. Another thing that we saw on the way up to mom and dad’s was a dead skunk on the side of the road and we saw some yesterday. I’ve seen them all week going to and from work. I don’t know why so many are out and about, but perhaps it’s the warm weather. Perhaps they are getting a little early spring fever. At any rate, it’s not been good for them. I looked for this song that my mom played in the car when we were kids. We played it over and over. I guess it was on an 8-track and I am sure it was in mom’s Dodge Demon. It was yellow with a black stripe down the side. At the end of the stripe, there was a Tasmanian devil. Mom loved that car. It was her first. She didn’t get her driver’s license until after I was in kindergarten. We went everywhere in that car and we wore the 8-track out. The song was Dead Skunk in the Middle of the Road, and you could hear us all sing it at the top of our lungs as we barreled down the open road. It’s funny, all the names people come up with for their grandmothers. We called each of ours “grandmaw”, but when we spoke of them we added their last name. It was like they played on grandparent sporting leagues or something. Sometimes we would call them by name; “Grandmaw Barton, can I go…. or Grandmaw Edge, can I have a…”. We did the same with Granddad. Sometimes we called them Granddaddy too. I’ve been thinking about grandmaw Barton this past week. It’s been two years now since she passed. She was 97 years old. Next month will be her 100th birthday. I should make her Applesauce Cake, only she never gave out the recipe, to anything. She just knew how to make it, make anything. I spent a couple of weeks with her the summer after granddaddy died and I asked her how she knew to do this or that. She always replied “I just figured it out. Somebody did it before I did, so I figured I could.”, and she did. She had a wooden nativity set that she made and painted herself, furniture that she reupholstered, chairs that she re-wove, and she could sew anything. I like to think that I get so much from her. I look at something and I think “I can do that”, and then I do it. I too have taught myself to reupholster furniture, cane chairs, refinish, knit, build, sew, wallpaper, paint, cook, and I guess basically survive. I know my limits and will get someone who knows what they are doing when needed, but I like a challenge too. I also have her gift of sight. She called them “visions”. She always knew when something was going on. I tend to know too. I also know which friends I will know when we grow old. I can see them as an old person. It doesn’t mean that someone won’t grow old if I can’t see them, I think we just won’t be in touch when we are old. I don’t share what I know as often as I used to. I don’t know if I see as often as I used to either. Grandmaw Barton’s patchwork quilts. These are my Quilts of Many Colors. I have a few of her things, some she gave me and some that were passed on to me. I have a couple of her handmade patchwork quilts. I don’t even know how many of them she made over the years, probably hundreds. She made me one when I moved out on my own and then gave me one the last visit we had before her house burned. That is another Tale for another time. I have a metal stool that she painted blue and white that she gave me. I love the folk art look of the way she painted it. It doesn’t match anything in the house, but it matches my memories of her perfectly. I also have her 1947 Singer Sewing Machine. I remember when she gave it to mom. It used to sit in grandmaw’s front room. She wanted mom to have it. Mom had an electric sewing machine, but I think it had quit working. It still sat in their bedroom as a piece of furniture for years. 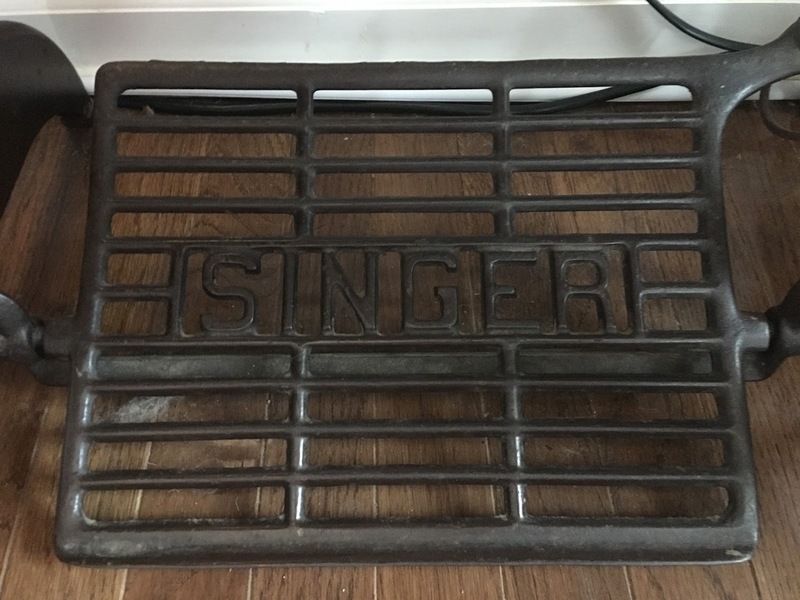 We loaded grandmaw’s Singer in the back of mom’s car and took it home and she put it in the living room. She actually used it a couple of times and then moved it to the hallway, where it sat for many years. Before dad got sick, he asked me to come visit, that there were a couple of things that he wanted to give me. I left with grandmaw’s sewing machine and his bookcase. He knew I had an appreciation for antiques and family history and he knew I would take care of them. I will pass them on to one of my nieces or nephews one day. I just have to make sure they understand the history behind them. Grandmaw Barton’s sewing machine now sits in my living room. One day I will replace the leather belt and get the treadle moving again. Grandmaw Barton took care of everything she had. When you grow up with very little, sometimes you learn to appreciate everything you have. 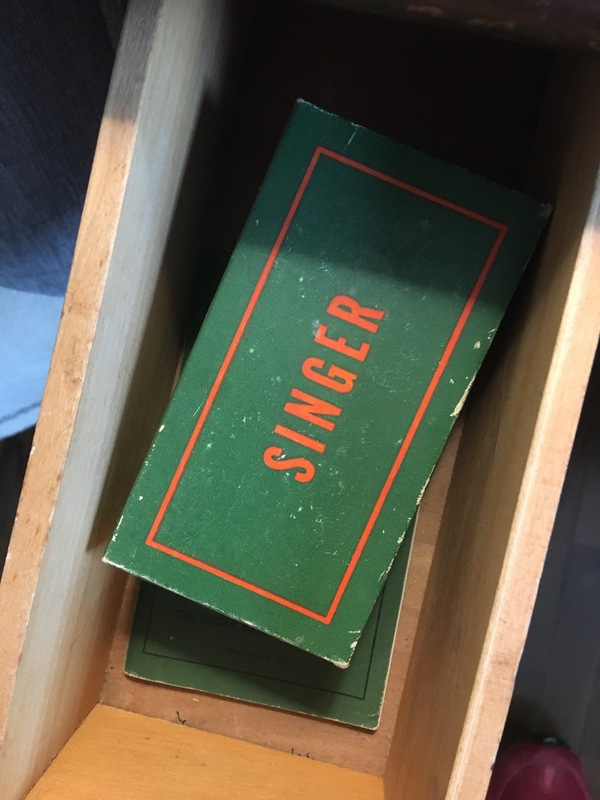 In the top left drawer of the Singer cabinet, there is a box with the Singer logo on top. Inside are the original parts, bobbins, and manual. That was the drawer she kept them in, where mom left them, and where I have left them. The cabinet itself has seen some wear to the finish, but that is to be expected, and a few years back the leather belt on the wheel broke from drying out. I keep meaning to replace the belt. It will still work once I do that. 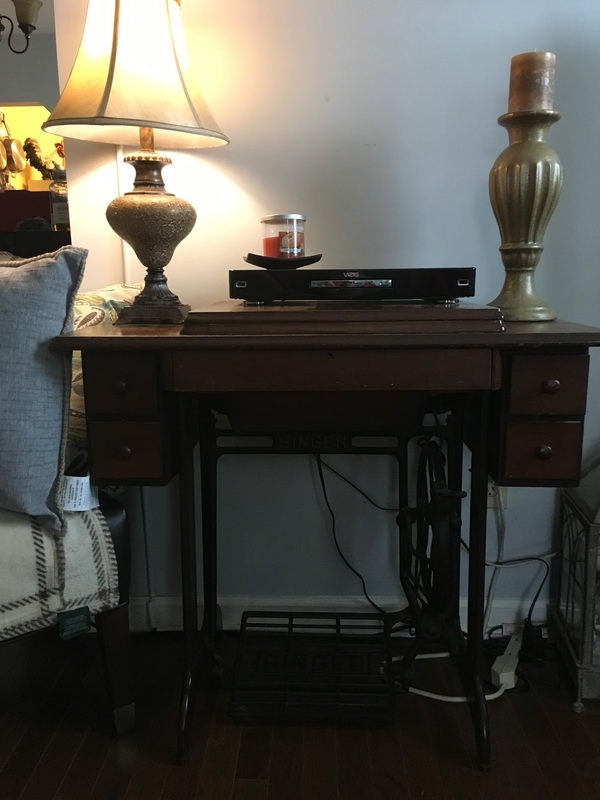 I remember grandmaw treadling away on it that summer I spent and mom doing the same when it was given to her. There is an unmistakable sound to the treadle going back and forth, the wheel spinning, and the machine coming alive. I can even hear mom’s old electric sewing machine in my head. It had a hum to it just before the needle would make a whirling sound that turned into a rhythmic pounding, accompanied by the offbeat clacking of the spool of thread on top. There was also the sound of mom cussing when the thread broke. She working in a sewing factory for years when we were young but didn’t sew too much at home. I think she was a cutter at Aileen and not a sewer most of that time. Our neighbor, Anne, worked at Wrangler as a sewer, so I am sure she told mom exactly how to do it. 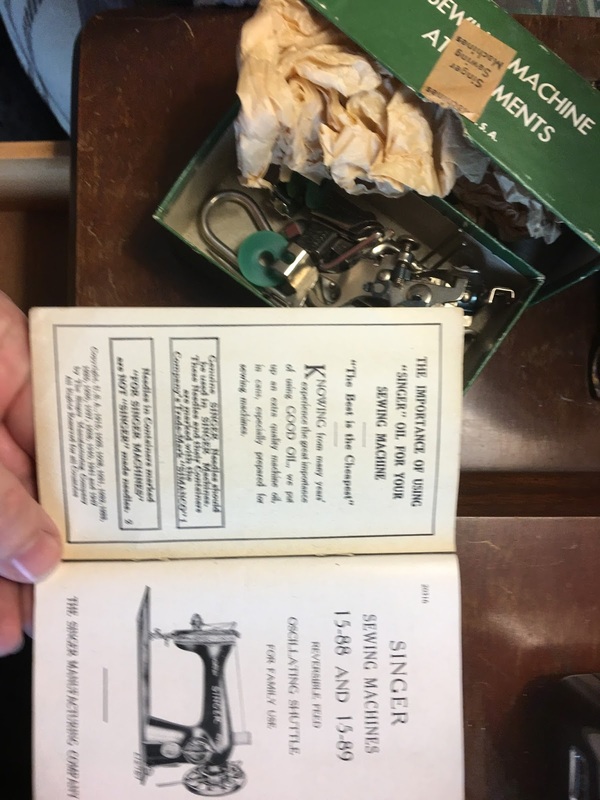 The top left drawer still holds the original box of attachments and owners manual, which is how I know she bought it in 1947. My mom would have been 5 years old when she bought it and my grandmother would have been 30. The parts look brand new. Grandmaw Edge made all of her own clothes. When we would visit, she would sometimes still have a dress pattern out on the dining room table. Since they moved from one parsonage to another, there wasn’t always room for a sewing room, so she made do. It’s funny, I don’t remember her sewing machine or ever seeing her sew. I remember one house that had a sewing room, or a room that we were not allowed in. Most of the time that was granddaddy’s office. One year for Christmas, she made all of us robes and mom a new housecoat. In the pocket of each was a small Whitman’s Sampler. Each was a different color and I don’t think I had mine for very long before I grew out of it. I probably inherited one of my brothers, as I got a few hand-me-downs if they weren’t worn out. There was a pillow that she made me when I was sick with tonsillitis. It was from a pattern she got with one of her dress patterns, I think. It was a cat with kittens. Ironically, it was under my bed when our pregnant cat went into labor and she used it to give birth on. I threw it out. Grandmaw Barton had a pincushion that sat on a bookshelf in her kitchen. She had a chair in the kitchen, by a window, where she sat each day to watch the birds, read her bible, and do any hand work that needed done. Her bookshelf held just a few things; her bible, pincushion, sewing box, a jar of buttons, reading glasses, a couple of pictures, a place for her cup of coffee, and a few books she would be reading. We could only sit in her chair when she was up doing other things, and we couldn’t bother things. It was granddaddy’s chair before he died. Mary kept a pincushion on her dresser and would bring it out to the living room in the evening. As she and Charlie would sit and watch Wheel Of Fortune, she would be sewing something. She had a jar of buttons too. When their grandkids were visiting for the summer or I was helping Charlie in the garden or yard, she was quick with a sewing kit to mend a tear or replace a button. She made quilts too and pillows for their front porch furniture. Sewing was just something that they all did. It was a skill, a trade, a chore, a hobby, or a pastime. A friend, Nyla, shared a picture of her mom’s and grandmother’s button box and sewing notions yesterday, and it got me thinking about my grandmothers and Mary. These were important to them. These were necessities, but also niceties. Buttons did more than just hold something together. They had style before function. Their scissors were important and serious tools too. You could not play with them. They had specific ones that stayed in their sewing kits and they cut nothing but fabric with them. Mom’s scissors were all metal with black painted handles and seemed like they were a foot long. They were huge and heavy. She kept them in the bottom drawer in the kitchen. There was also an unmistakable sound to them. You could hear the metal against metal as the blades passed one another and then it ended in a clapping kind of sound as the handles came together. 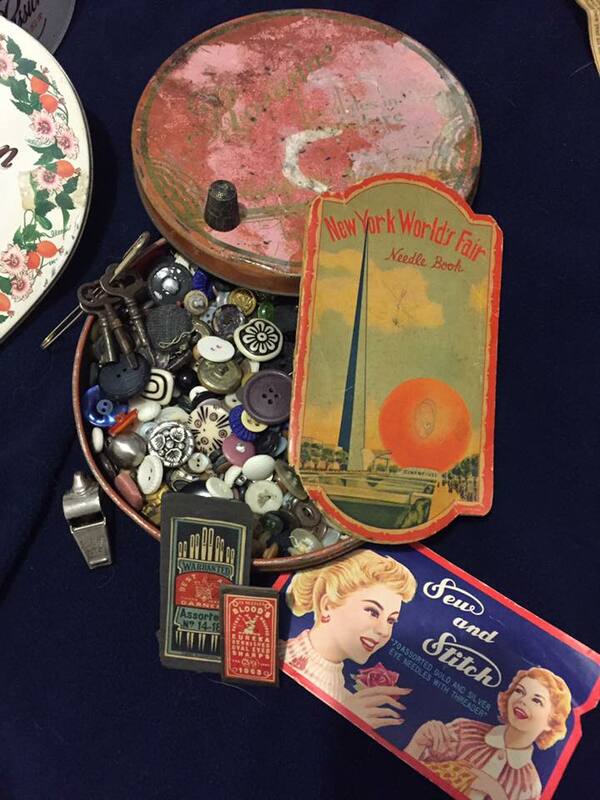 Nyla’s mom, Cosette, and her grandmother, Pearl, kept buttons and sewing kits in an old tin. The New York World’s Fair was held in 1939. I would love to see if one of those keys fit my grandmother’s Singer. The middle drawer folds out and has a lock on it, but no key. Luckily it is unlocked. These are now treasures that we hold close and use when we can. It gives us an opportunity to hold hands with the generations that came before us. When I buy something that has extra buttons in the pocket, I keep them. I never really thought about it, but I guess it goes back to seeing the buttons that grandmaw Barton and Mary kept. They have come in handy over the years. I just have a small bag of buttons and not a jar. I don’t think about saving the buttons from anything that I wear out, but then again I don’t tend to wear something out as much as I grow out of it and I just give it away. 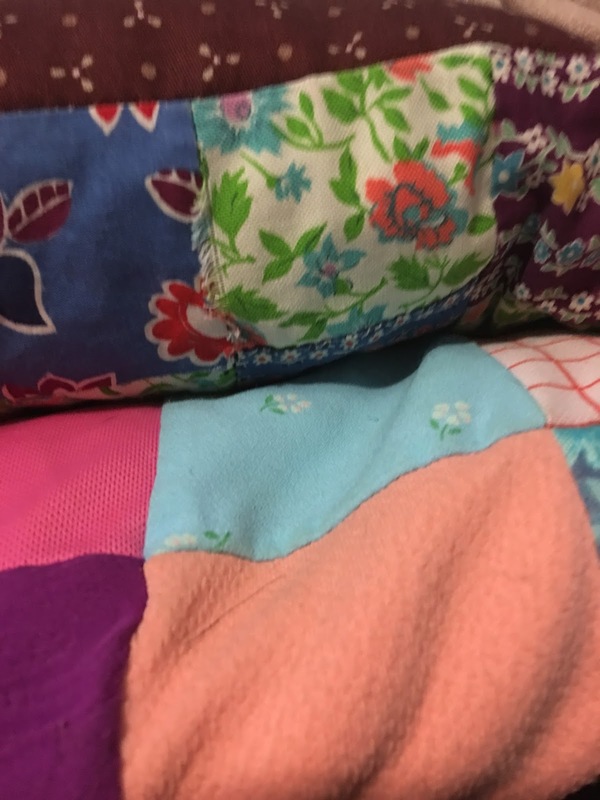 I know the quilts I have were made from scraps of old clothes that grandmaw had, where she kept any part of that was useable and found another purpose for. The cloth went into the rag box and the buttons went into the jar. There were many opportunities to make a little money. I had a bike for transportation and I could ride for miles. I don’t know if my parents knew it or not, but I would make it as far as the truck stop, where I would later get my first job, and on the way meet up with a friend named Randy. We would make our rounds to the vending machines outside the entrance, and with a quick sweep of the ground, we could almost always find enough change to buy a coke and a bag of chips. Sometimes we would have a little change to put in our pockets. I don’t guess that really qualifies as making money, but it was a risky opportunity that took time, skill and patience. We didn’t do it for very long. Riding our bikes in and out, around the tractor trailers, was not very advisable. And, the money was not something you could count on. I spent one summer following my older brother, Bobby, around on a couple of his mowing jobs. I wasn’t really old enough to take on the mower, but I could scan the yard for rocks and I could weed eat, which then meant taking a pair of garden shears to the grass around the rocks. I usually ended up just pulling the grass up. It was quicker and easier. My mom showed me that and she could pull grass quicker than anyone you’ve ever seen. I think she took out some frustrations doing it. I can’t imagine what frustration she could have had with a husband, four boys, a cat and a few dogs. I soon graduated to mowing and my brother moved on to other jobs. He ended up working on a small farm with a few horses for quite a while. So I ended up with a small business of my own. It was basically two clients, with an occasional one thrown in here and there. The Conners and Mrs. Hockman were my main employers. Although with Mary and Charlie Conner, I would not always work. There were so many times that I just helped and sometimes I would get a few bucks. I did get paid to mow their yard, though. I think we worked out a deal for $3 and eventually, we went up to $5. I got really good at getting as close to the rocks and flower beds with that mower so I would have less to weed eat afterward. When I was done, Charlie would have me “come sit down” on the back porch and Mary would bring me a glass of iced tea or cool aid. Mrs. Hockman and I had a routine. Each week I would knock on the back door and she would take me around the yard to show me what she wanted mowed and where the weeds needed pulled. It was always the same, but she would show me anyway. Mrs. Hockman was a widow. I never knew Mr. Hockman. He had been gone for many years. She was just a wisp of a woman, very petite, standing no more than 4 foot 10 inches. I was taller than she was by the end of the first summer that I worked for her. She had what I thought was the nicest house in our neighborhood. It had been there forever. Which when I was a kid, meant it must have been there since the 40’s or 50’s. Her front yard was not very big and didn’t take but about 15 minutes to mow. There was an old barn/garage on the left with a sidewalk and block wall from there to the house. Along that sidewalk was an old bbq grill built into the block wall. I always thought that was the neatest thing. You could tell it had not been used in years. The grill rack was rusted away, but the bones of the structure were still there. The lawn in front of the bbq was perfectly flat and rectangular. You could just imagine the family cookouts they must have had there over the years. They lived there for a long time before other houses were built. The other side of her front yard was about the same, but then it opened up to a huge garden that she and her family would put out every year. Her kids didn’t live far away. In the back, she had a couple of acres. It had been a small working farm at one point. There were old chicken houses in the very back and a couple of tool sheds and an old smoke house. She had a canning kitchen just a few feet away from the back door. She would only have me mow the back area once every couple of weeks so it would be broken up each time to make it more manageable. She would often meet me at the back door with a glass of water or iced tea as well when I finished. It was what you did back then. We didn’t have bottled water to carry with us from job to job and we could only get a coke from the machine at the gas station or at Markley’s store. I rarely went into Mrs. Hockman’s house. She did have me scrape and paint some upstairs windows for her once and I seem to remember moving some boxes for her. Her house was just as nice inside as I had imagined. Lot’s of dark wood and tons of windows. She had a dining room and a formal living room. I usually only saw those when we went to grandmaw and granddaddy’s house if the parsonage they were living in at the time had them. So a few summers were busy with my clients, but the winters became pretty lean. I did spend the spring with Charlie helping to put out the garden, but that was just time spent with him learning. I would not have taken money for that. And then I spent some time in the summer and fall with Mary helping to put up whatever came out of the garden. There were lots of moments on the back porch snapping beans or shucking corn. In the winter, we would pray for snow. It almost always meant a snow day from school. But just one. We would go to school with feet of snow on the ground and the roads packed with snow and ice. They just needed a day to get the main roads cleared and chains on the buses. But, that initial snow meant people needed shoveled out. Not that they were going anywhere, but just in case they wanted or needed to go somewhere. Mom and dad would get mad because we would get to them last. But, we had potential customers to get to. We would usually be out of the house earlier on a snow day than we would be on a school day. We would grab the snow shovel, the shovel used for digging a hole, the broom, the hoe, or basically anything that would move snow and head out to the neighbors. I always took the Connors and Mrs. Hockman. After all, they were my clients. Mrs. Hockman only needed her front walk cleaned so she could get her mail and maybe the back walk so she could get to the canning kitchen. I would shovel out the driveway, front steps and make a path to the back door for Mary and Charlie. If it was really cold, I would take a break and come in for something hot to drink. But, if I could make it, I would finish the whole job in one run. Shoveling snow is hard work and you always end up sweating, your nose runs and then you begin coughing. Charlie would see this as something that needed remedied. He knew just was the doctor ordered. He would often times make me a hot toddy. In the summer he would make dandelion wine on the back porch. In the winter he would use that to warm things up a bit. So, a little homemade wine, honey, hot water and a tea bag would set me straight. I would be warm in no time at all. I doubt he put much wine in it. I am sure it was just that it was hot. When I really did have a cold, it would clear your throat, though. So, a snow day meant I was gonna make a few bucks and likely get a good stiff drink. Well, for a kid it was enough to then stagger through the snow to Markley’s and get a coke and a bag of chips or something. By then I would be sobered up and come home to watch reruns of I Love Lucy, Andy Griffith, or maybe take a nap and sleep it off. 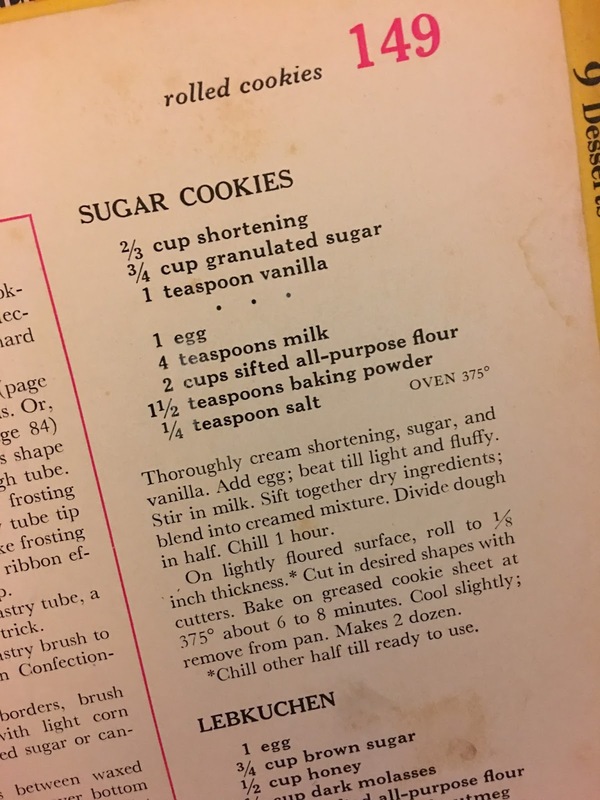 It would have been this weekend 40 years ago, and for many years before and many years after, that mom would have gotten out her Better Homes and Gardens New Cook Book. She would turn to tab number 8 for cookies and page 149. Right there, was the only recipe for cookies that she would use for Christmas; Sugar Cookies. You can see the stains of a well-used page. It’s a simple recipe that holds so many memories. Her big Sunbeam Mixmaster would come off the top shelf and it was time to get started. 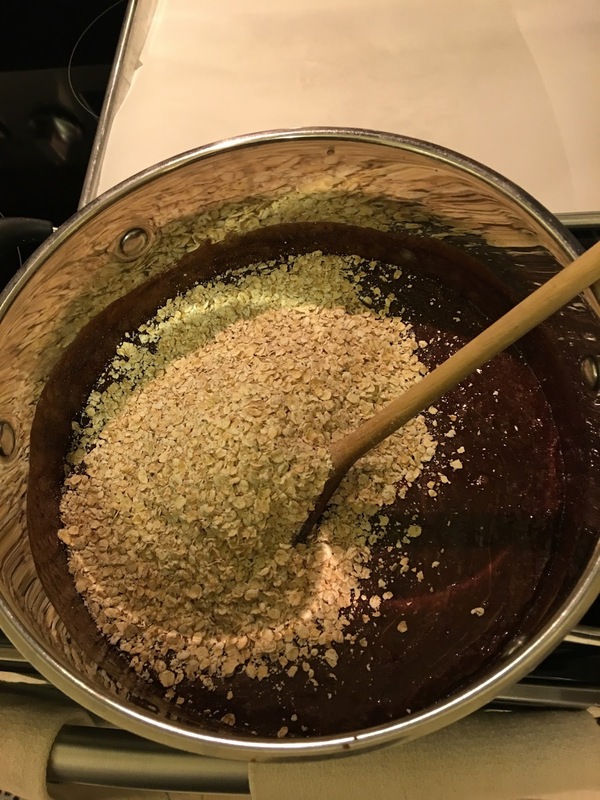 Creaming the sugar and shortening, adding the vanilla and being taught how to crack an egg – this is when a kid realizes that mom is a magician. 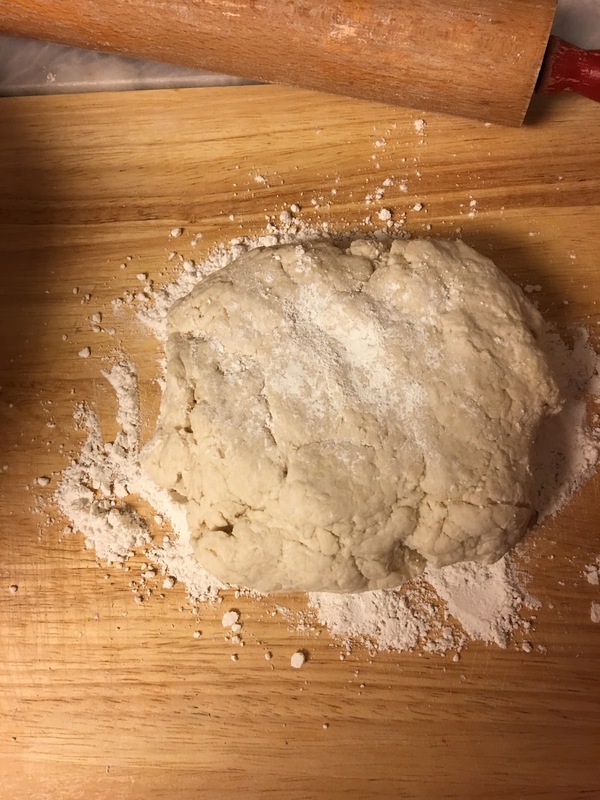 When the dough is done, it would go on the bottom shelf in the fridge and we would spend the hour cleaning up and getting ready to roll it out, cut it, and bake. This isn’t mom’s. Her’s died and sat in the kitchen closet for a few years before she threw it out. I think hers had metal bowls instead. 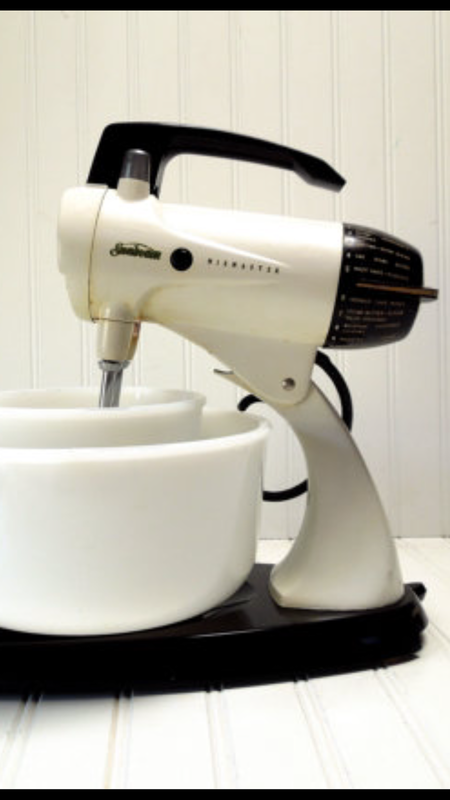 When I could afford my own stand mixer, I got a new Sunbeam Mixmaster for myself for Christmas one year. A couple of years ago Mick got me a KitchenAid and attachments. 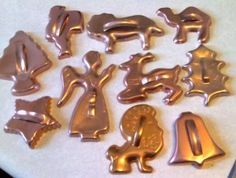 Mom had a small set of aluminum cookie cutters. There was a Santa with a pack on his back, a bell, a star, an angel and a tree. 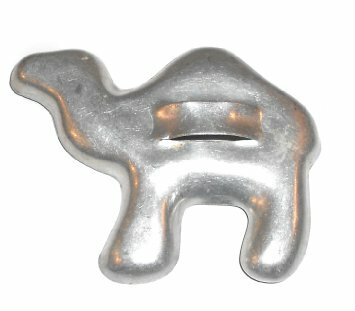 There was one more and mom used to cuss it every time we used it, the one-hump camel. These are similar to the ones that mom had. I don’t know if one of my brothers has her cutters or not. I remember them always being in the bottom drawer in the kitchen. We would always cut the cookies out on the kitchen table. Mom would flour the table and roll what she needed of the dough out with her wooden rolling pin, the one I have today. Then we would each get to take a cookie cutter and begin. We each had our favorite, but of course, we each wanted a turn with the camel. There would be other opportunities to get mom to cuss over Christmas, but this was too easy and it would not be our fault. You see the problem with the camel is not that he had one hump, but that he had 2 legs. Legs which never wanted to come out of the cookie cutter. It did not matter how much mom would flour the dough before we cut it or even if you tried to flour the cutter, one of his legs would still stick and break off trying to get him out. These cutters had backs and handles, so you could not just push the cookie out, you had to shake it. All of them stuck to some degree. There we were, flour all over the table, our hands, and the cookie dough and we would commence to shaking. Every now and then Santa or an angle would take flight as they broke free of their aluminum chamber. Not the camel, though. He was humped in and hunkered down. Eventually, we would give up and take a butter knife and either set him free or carve him up. Mom would do her best plastic, or dough, surgery to whichever leg didn’t make it out. This would be the camel with the detaching limbs. Sometimes we would just eat the broken leg raw. I know, you are not supposed to let your kids eat raw cookie dough. We survived better than the camel did. Next, it was off to the oven. We gave them a generous amount of sprinkling with plain ole white sugar. We didn’t get into fancy sprinkles or colored sugars. We tried, but plain sugar always worked for us. It would always be my older brother’s jobs to keep an eye on the clock; eight minutes. When they were golden brown, mom would pull them out of the oven and set them on top of the stove. We only had a couple of cookie sheets, so we had to wait for those to cool a bit, get the cookies off and place a whole new batch. We also didn’t have any racks to put the cookies on to cool. Mom just laid out some clean dish towels and that worked pretty well. Some of the cookies might have had a little fuzz on the back if they were still hot when we took them off the sheets and laid them on the towels, but oh well. As we moved through all the dough and mom fixed several broken legs, we would notice that some of the cookies began to stick to the cookie sheet when they came out of the oven. We may have been a little too generous with the sugar. We got to eat the broken cookies right then! And, you guessed it, I got a few legs and my brothers got a few humps. When all the cookies were cooled, mom would put them in a lard tin she kept in the hall closet. It was the utility closet and always stayed cool, I guess because the pipes from the basement came up through there. She would pull out what we could eat into a smaller metal cookie tin. It had a pretty designed, colored lid and was still bigger than I could hold as a kid. I have no idea what ever happened to that old tin, but for years that was where we would find our Christmas cookies. If someone gave us a plate of cookies, they went in that tin too. Sometimes we would look in there in the spring and find a cookie or two that we had never eaten. They may have not been as fresh, but we didn’t care much. Who could resist a Christmas cookie in April? I don’t really remember any other treats at Christmas, except a box of navel oranges that we kept in the basement and some years mom would make a tub of fruit salad. There were the mixed nuts that mom would get, but we could never crack them open by ourselves much. The nut bowl, for a long time, would go back up on the top shelf of one of the kitchen cabinets. Maybe mom kept it there so she could have them, I don’t know. Eventually, it went on the coffee table. Maybe that was when we were older and not as apt to accidentally take an eye out with one of the picks. And yes, I did say accidentally. Lots of things that happened to us growing up were by accident on purpose. As we got older, the camel may have accidentally on purpose lost a leg so we could hear mom cuss. I would give anything to hear her say “You damn camel!” again. 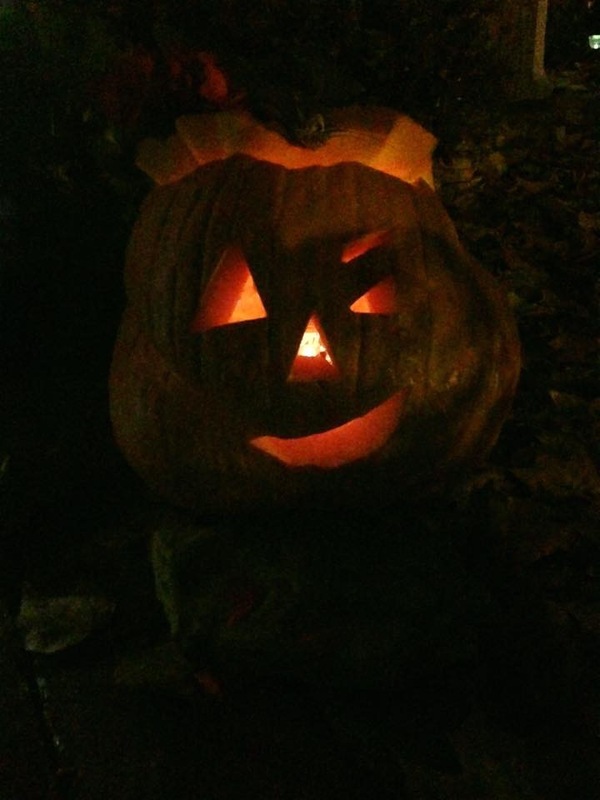 Tonight we had about 18 Trick-or-Treaters. It was a nice evening, so I am not sure why we didn’t have more. We’ve had as many as 75 in past years. When my brothers and I were young, we never had trick-or-treaters to our house. We lived up on a hill in our neighborhood and no one wanted to walk all the way up our driveway. And, our dog would probably have run them off anyway. We were the ones out on all hallows eve. We would get ready as early as we could. If it was on a school night, we would start getting dressed as soon as we got home and then we bugged mom and dad about going until they finally gave in. We had the same route, pretty much all of our lives. Main street in Toms Brook was where the action was, and we were right in the middle of it. We would all get loaded in the car and dad would pull up to the curb somewhere near the school or the Post Office. Mom would walk with us and we would start door to door. We didn’t have many costumes to wear, so we mostly made our own. Miniature hoboes were always a sure fire hit. We would take one of dad’s t-shirts and stuff a pillow under it to make us fat. Some of mom’s eyebrow pencil would dirty up our faces pretty well. Mom had one wig in the closet that she used to wear and one of us would end up with those black curly locks on our head with a trucker’s hat from dad as well. We had the look down pretty good and it made us seem pitiful enough to warrant getting lots of candy. There may have been a couple of years that we had a store bought costume. I think there was a Casper The Friendly Ghost. I am sure there was a Planet of the Apes one somewhere. But, those would have been passed around between us until they wore out. In Toms Brook, we would hit all the regular houses. We knew who would try to scare us as we walked up. Although it didn’t matter that we knew it beforehand, we still jumped and screamed. I think one of those was a preacher’s house. He would be out on the porch in some outfit and as we got close, bam, there he came toward us. I seem to remember one or more of us running off. Some Halloween nights were nice like tonight and some were cold. There was one night I remember that it rained like crazy. That didn’t stop us, though. We used paper bags back then to put our candy in. Some years we got creative and took one bag and cut it up to make handles for our candy bag. These were so big that you could almost collect your weight in goodies. We never got much chocolate I don’t think. We did get lots of hard candy, sour candy like Smarties, popcorn balls and some gave out apples. Our bags would be so heavy by the time we were done. The year that it rained, our bags were particularly full. I guess other kids didn’t go out and we got their stash too. We were walking up the side of the street and the rain was just pouring down on us. We were crying because our makeup was washing off and whoever had the mask couldn’t see. Our bags were getting too heavy and even though we were raking it in, we just were not happy about it. I am sure mom was even less thrilled. As we were walking I remember Pat getting really upset. As we all looked at him, there went all of his candy into the street and the gully wash of water was going by so fast that it washed all of his candy down the gutter. His paper bag had gotten so wet and was so heavy that the bottom let loose. I think mom grabbed an apple before it was gone and tried to give it back to him, but he threw it down in the water and stomped on. The only thing that could save this night was our final stop at the Stoneburner’s. Mr. & Mrs. Stoneburner would meet us as we climbed the long stairway to the front door. She didn’t try to scare us and she didn’t drop a piece of candy in our bag and send us back down the stairs. We were invited in. Inside they had all the furniture pushed aside and the centerpiece of the room was their dining table. It was loaded down with bowls of candy, cakes, pies, drinks, popcorn balls, and apples. It was paradise! We could have any and all we wanted, but I don’t think we ever put much in our bags. Most of it was eaten right there. Mom and dad would sit down in a dining chair along the wall and catch up with Mr. & Mrs. Stoneburner. Mr. Stoneburner had a shop out back where he made and repaired clocks. Their living room was filled with them. When the hour struck, the whole room would go off, but not at the same time. They had them timed out and it went on for several minutes. It was almost cooler than the table full of treats. The Stoneburners would get so excited whenever someone would arrive. They loved seeing how we changed over the years and they talked to each and every one of us. Their house was the highlight of Halloween each year and it was usually the last stop before home. When we got home, we would each dump out our loot onto the floor and compare what each other got. Sometimes we would trade, but mostly we would hoard all that we had. Mom went through our candy, making sure that there were no razor blade or needle marks in it. I don’t know how that urban legend ever began without the internet, but we all heard about the kid that bit into an apple that had razor blades in it. I remember mom making us put our candy in the bottom drawer of the refrigerator and we would only be allowed so much each night. I also remember hiding some under our beds. One year I found candy near Christmas. We never had trick-or-trunk, never went to the mall, and never went to a party for Halloween when we were kids. Trick-or-Treating meant that we walked the streets, knocked on doors and when they answered we sang “Trick or Treat, smell my feet, give me something good to eat, If you don’t, I don’t care, I’ll pull down your underwear!” Sometimes we got an evil eye from a church lady or two and we stopped half way through. Nobody wanted to sing about their underwear anyways. As we got older, we did end up at the church on Halloween. Our parents became youth counselors and the initiation into our youth group each year was to go through a haunted house. We would meet in the basement of the church, in the social hall. It would be a small party with some Halloween music and candy. The older members of our youth group would set up the haunted house in the kitchen. It had doors at both ends, so they could take you in one side and out the other. All the new kids from that year had to go through initiation to officially join the youth group. You would be blindfolded and led through by hand. Your lead would take you from station to station and you had to put your hands in stuff, eat or drink something, and things would get tossed on you as you passed through. You would scream and try to run because they would make you feel a bucket full of eyeballs, or eat worms, and bats would fly into your head. But you had to make it all the way through, or you would not get in and had to do it again next year. If you did make it through, you were sworn to secrecy and could not tell anyone what happened to you in there. Once you made it through, you could join the rest of the party. We would even end the night with a taffy pull. The taffy we made we would sell to the church members and that raised money for our group. If you made it all the way through the haunted initiation, you got to help the next year. You might be a guide or you could be at one of the stations of eyeballs or worms. That was, even more, fun than going through initiation. You really got the chance to pull one over on the new guys. You found out that the eyeballs were just grapes in a bowl full of jelly and the worms were just macaroni in cold pasta sauce. Halloween has always been right up there with Christmas. And, I think no matter how old you get, you can enjoy both with the excitement and awe you had as a kid. I mentioned last time our neighbor, Anne, who came over to sit with mom a couple of evenings a week. Mostly they just drank coffee and smoked cigarettes while they talked about work and other neighbors. They would say the same things over and over sometimes. I often wondered if they were so bored sitting there that they didn’t even listen to themselves, much less the other one. 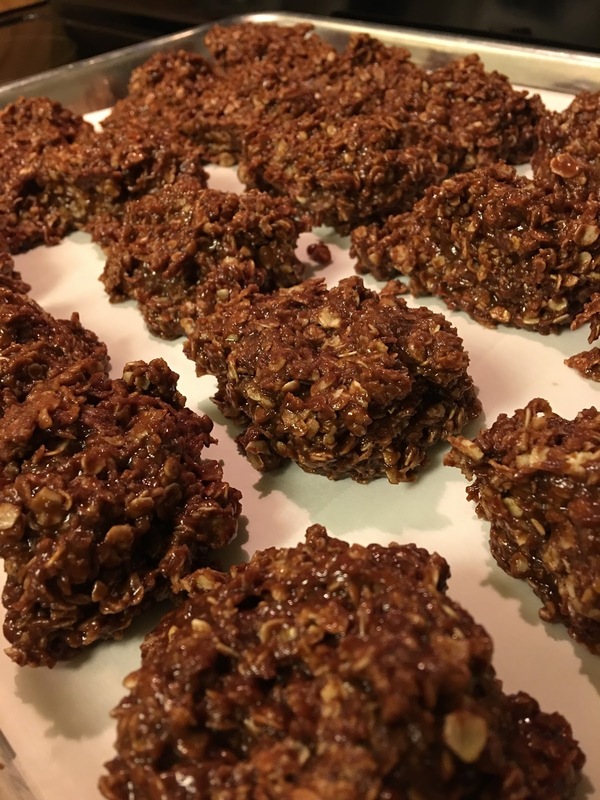 Anyway, every once in a while they would make a batch of No Bake Cookies. We loved those growing up. I don’t know when the recipe ever came about, but when they made them, it was like they had just invented sunshine that you could eat. Anne would bring over her own cookie sheets, so she could take her part of the batch home. Line with aluminum foil, she would lay them on top of the freezer, and she and mom would sit and drink at least one cup of coffee and smoke a couple of cigarettes before they would get started. Mom had a huge pot that they would make them in and when it was time to add the oatmeal, one or two of us would be allowed to stir for a minute. Mom would lay her cookie sheets out and line them with foil. We wanted to help with those too, anything to speed up this agonizingly slow process. 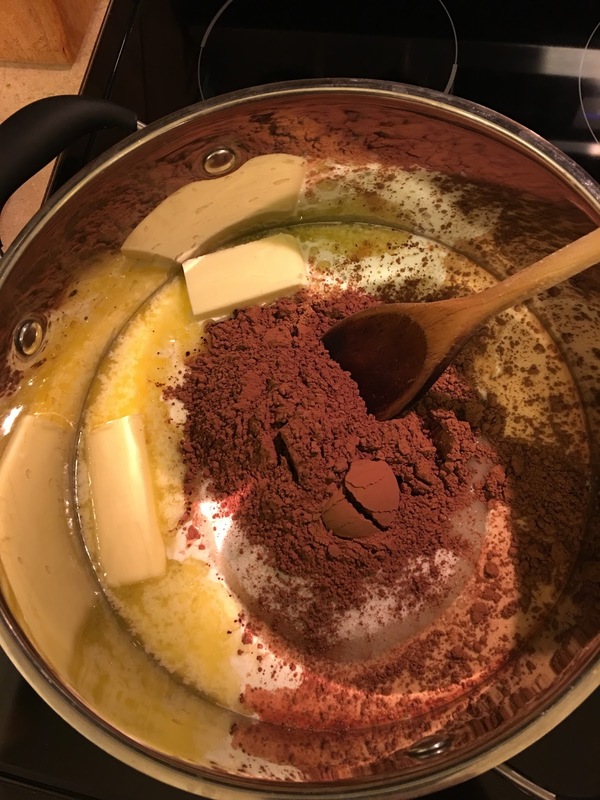 Start out with 1 stick of butter, 2 cups of sugar, 1/2 cup of milk and 6 tablespoons of cocoa. Bring that to a boil, stirring constantly to blend. Boil 1 minute. Remove from the heat and add 1 teaspoon of vanilla, 1 cup of creamy peanut butter. Stir until well blended. Then add oatmeal. I never measure the oatmeal. I just keep adding and stirring until it seems right. You want it firm enough to hold onto the spoon. They would scoop the cookies out onto the pans and then line the pans up again across the top of the huge chest freezer in the kitchen. Then they would clean up and sit down for more coffee and a few more smokes. This was another clear-cut case of child abuse. How were we supposed to wait for these darn things to harden? They took forever. You could bake cookies and let them cool enough to eat in the time it took these to “set up” as mom would say. “Can we have one?” “They’re not set up yet, no.” We knew mom could be mean, but this was just beyond comprehension. And, Anne was in on the cruelty. But then again, she had a girl and no boys, so maybe she didn’t really like us all that much and the torture was gratifying for her. Drop them by spoonfuls onto a lined pan and let them “set up”! I still cannot wait that long for them, so I usually put them in the fridge to speed it up. One of the best parts of making them now is that no one else gets to lick the spoon but me! When we could finally have one, we would shove a whole cookie in our mouth and reach for another. All that chocolate and peanut butter and dense chewy oats called for a tall glass of cold milk! That is, if my oldest brother, Ricky, hadn’t drunk it all by then. Mom would buy one gallon of milk a week and when it was gone, it was gone. You would always find him with the jug in the air, guzzling it straight. When we got older, he used to buy his own that the rest of us could not touch. I don’t think we ever had these cookies at Christmas or any special occasion. These were simply cookies to have, for no reason at all. Every now and then we would have them at school, on our food tray. Say what you will about school cafeteria food, but those were the best too. 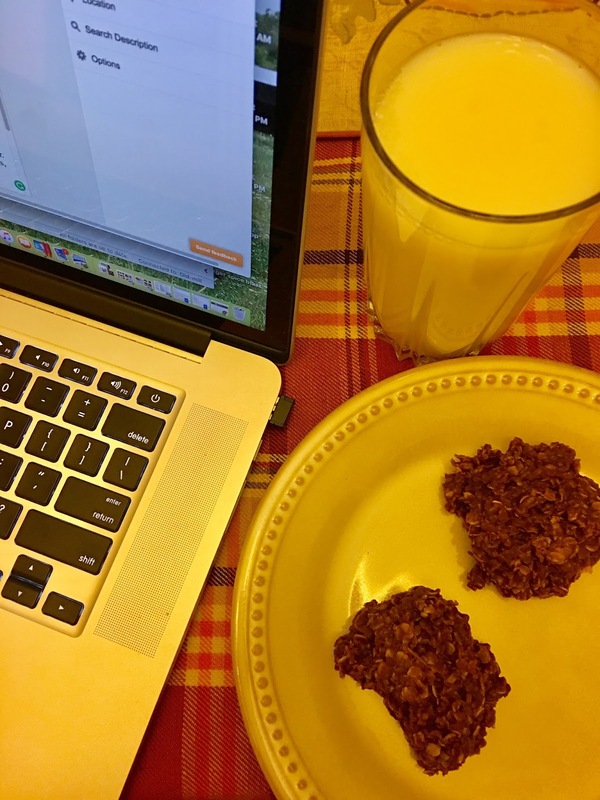 Even today, I don’t make No Bake Cookies for Christmas. I make them because we want some. I make them to take on a trip. I make them because I am bored and hungry. I don’t really have to have a reason. This evening, I needed to write this post and I decided I needed pictures for it. I also need a tall glass of cold milk. Sometimes you never really grow up. This past week the weather has turned cooler. We’ve opened the windows and aired out the house. At night we throw an extra blanket on as the temperature drops into the 40’s and 50’s. The leaves are just beginning to change, and you instantly begin thinking about comfort foods. There is a meaning in that term. It’s comforting because the tastes and smells remind us of better days when someone took care of us by feeding our bellies and our souls. I decided to make today a comfort food day. This morning, after my requisite double capacity coffee cup was filled, I fixed a late breakfast. I guess you could call it brunch since it filled us up for most of the day. 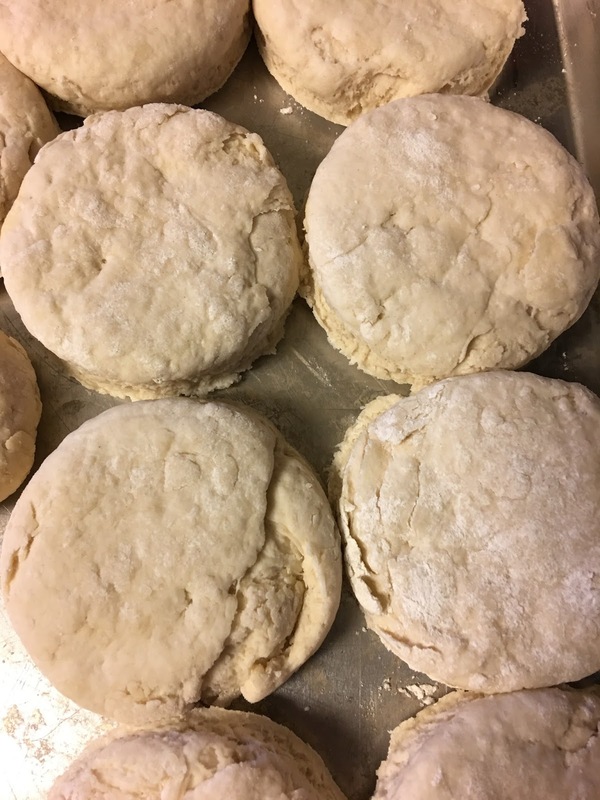 I decided to make a batch of biscuits from scratch. I cook quite a bit, as you know by now, so you would think that I could turn out a pan of biscuits in a minute. Biscuits are not something that I grew up on, though. 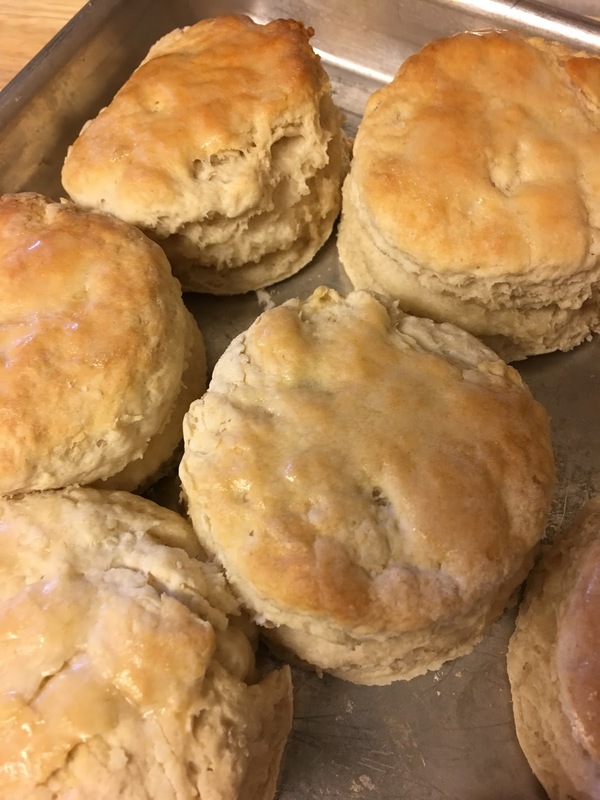 Mom probably popped open a can or two, but I don’t ever remember her making biscuits from scratch. I don’t even remember my grandmother doing it. I know that may take a couple of punches out of my southern boy card, but that’s the truth. I did make a batch a couple of times myself growing up. I remember the first time I made them one of our neighbors was over. Anne came over a couple of nights a week to sit with mom, smoke a few dozen cigarettes and drink coffee. She was a good cook, but a nosey neighbor. I may have to write more about her sometime! A few of you probably know her, or are related to her, so I will be nice. She and mom were close and she took care of me many times. I will always thank her for that. Anyway, she tried my biscuits and told me what I did right and what I needed to do the next time. Cold Crisco was essential or your biscuits were just greasy. But this morning I decided to use a little different method, one that I had seen online. I took a stick of frozen butter and grated it on the old knuckle buster. Then I put it back in the freezer for a couple of minutes to harden back up. 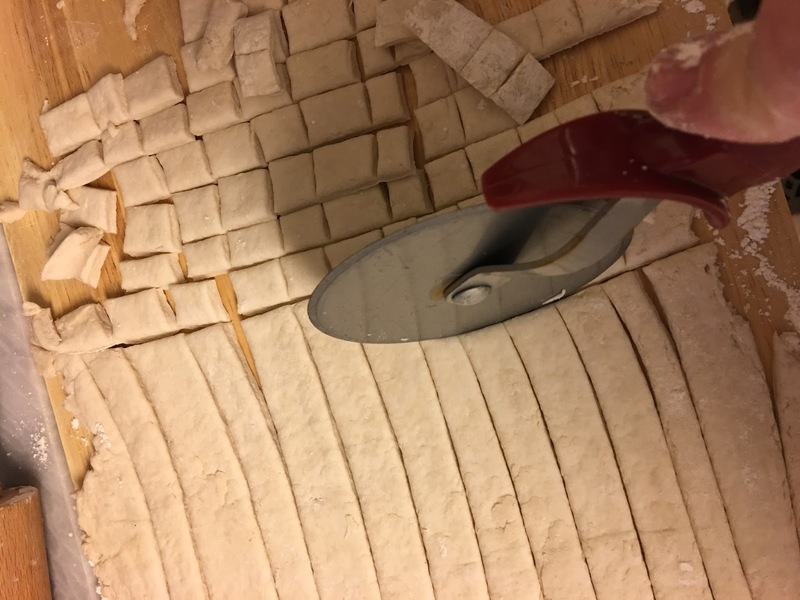 Once I had my flour ready, I mixed the two and finished with the pastry cutter. The two have to come together to look like meal. Then I added in my buttermilk and stirred it until it formed a ball. On a floured surface I rolled it out, folded it once and repeated three more times. Then I just grabbed a glass to cut the biscuits. I don’t have a cutter, so a glass works pretty well. Into the oven at 450* they go until they are starting to brown on top. I take them out and immediately rub the tops with butter and they turn nice and golden. I was pretty happy with this batch. It wasn’t much harder than popping a can. Mom’s rolling pin adds all the comfort I need. While they were in the oven I fried up a huge slice of city ham and a few eggs. A little apple pie jelly that I made last year tasted so good on those biscuits. There’s enough ham and biscuits left to have a quick breakfast for the next couple of mornings. The comfort in making these this morning for me was using mom’s rolling pin. It is a simple wooden roller with faded red handles. It seemed so big when I was little, but it’s not that big today. However, it does a great job and I plan on passing it down to someone in the family one day. The only thing I recall mom using it for was to roll out sugar cookies each year. I think that’s another Tale. The title will have to be The Camel Had No Legs. My brothers will appreciate that one. This evening I made a pot of Chicken and Dumplins. I know it’s dumplings, but I can’t help it. Again, not something that I grew up on, but I’ve learned to make. I’ve made all kinds of dumplins, from drop to rolled to dill to butter. I’ve settled on plain rolled. 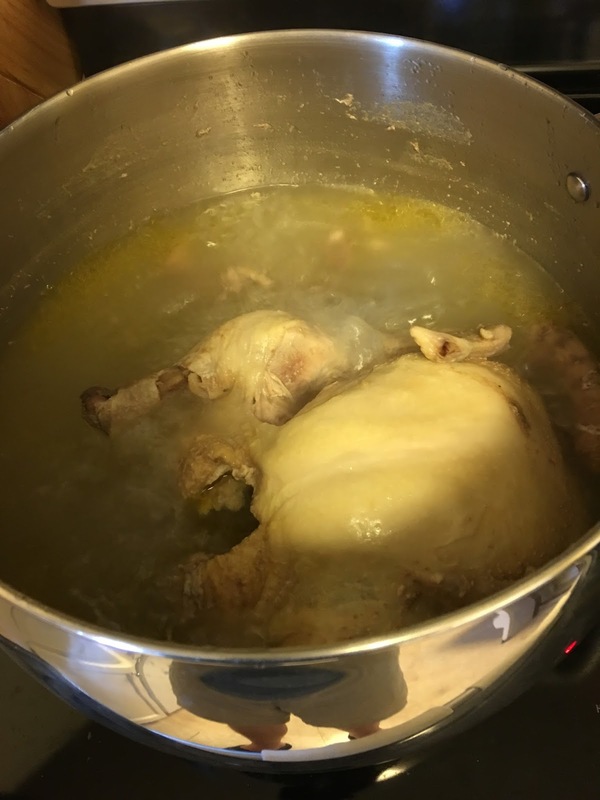 I make my own stock by beginning with boiling a whole chicken. A chicken for every pot I think is the way to go for the country and the way to go for the best pot of chicken and dumplins you’ve ever had. I cover it with water, salt it just a bit and let it boil for an hour or more. I check it and when the legs are about to fall off, it is done. I pull it out of the water, which is now stock, very carefully and put it in a roasting pan. I want to have room to work with it as I begin to pull it apart. I let it cool a bit and get the vegetables ready. 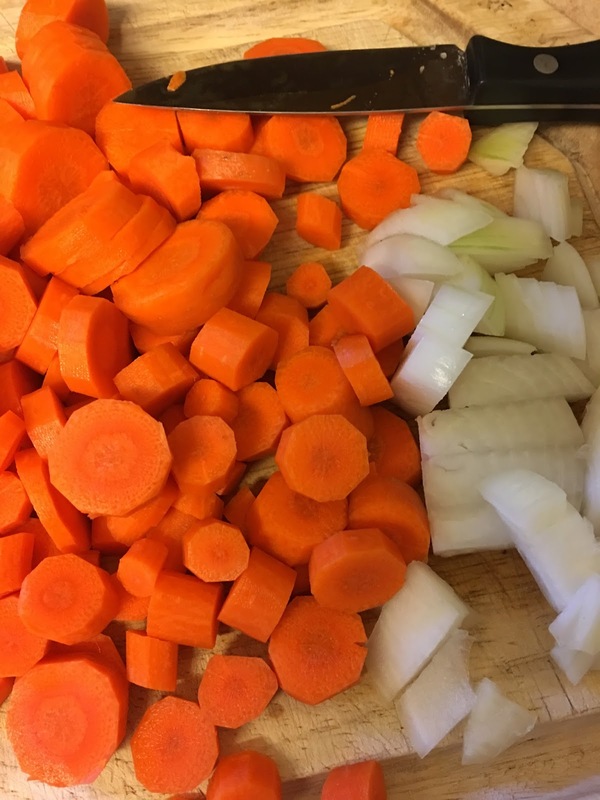 I usually throw in what carrots I have and a little bit of onion. If I have any celery, I will put a little in, but not much. Then I pull off the skin and pull the meat off the bone. When I am done I have a cutting board full of chicken, white and dark meat, to put back in when the vegetables are done. I set that aside and begin the dumplins. They are pretty much like biscuits, but of course, are rolled out very thin. I get water up to a boil again, add the chicken back in and cut the dough into tiny squares. I generously dust them with flour before putting them in the pot. As they begin to puff up, the flour helps thicken the stock. If it’s not thickening, I add a little flour to some milk and add it to the pot. 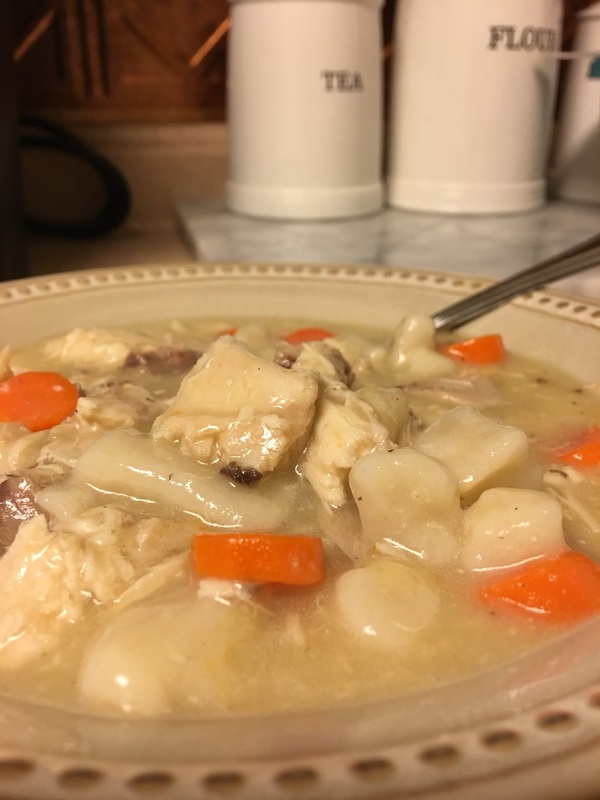 Now over the years, I’ve made some really good pots of chicken and dumplins and some have not turned out so good. The first time I made a pot for Mick, I had a pan full of cubed chicken from a meal that we had that day at work. There was so much chicken left over that a couple of us divided it. I was excited to be able to make a pot so quickly when I got home. All I had to do was open some chicken stock and make the dumplins. I made a huge pot too. That time I made big ole drop dumplins, about the size of a baseball when the puffed up. I put a dumplin on a plate for each of us, split it open and poured lots of the chicken and gravy over them. Mick took a bite and didn’t say a word. I sat down and took my first bite and could not swallow it. It was horrible, but he was being so nice. I didn’t realize that the chicken had been smoked for chicken bbq sandwiches that we had at work. Mick tried to eat a little more, but I threw it all out. It was disgusting. He has since been a bit more vocal about what I fix, and it took a while before I tried chicken and dumplins again. He ate a bowl full this evening and there’s enough for a couple of more meals. Probably the ultimate comfort food. The comfort in chicken and dumplins has to be that it was one of the first one pot meals that I fixed after buying my first house. It was that old 1855 farmhouse and it just seemed that this was something I needed to learn to make in my own kitchen.